The baby has come into the world, visitors have dried up, and you are slowly getting back to life; with all your daily chores, office work and other things get piled up, you manage time to find time to get worried over the postpartum weight loss diet. Well, I guess, that is a healthy sign and you should be. But be careful, you should not take any mindless steps as far as dieting is concerned, this article aims to give you sure-fire diet regimes and workout plans to lose weight nicely and beautifully. Yeah, right! All these tips are safe and do not cause any complications; so, put your worries aside. It becomes important when you want more kids, a small weight gain can bring you into the overweight range that increases the risk for next pregnancy. Never start the dieting right after the delivery; you should give yourself some time to fully recover from the labor. You should at least give six weeks time before you could start any dieting. Do not get too worried over calorie intake, keep it simple. If you are breastfeeding, then make sure that you start any kind of regime after 2 months of delivery. Hang on, have patience, you will be a beautiful mama once again, stay calm and relaxed, your body has its own wisdom and it will work on its own. Adapting to diet regime too soon after the delivery can make you feel more tired. After the pregnancy, some women’s body shapes change permanently that means you are likely to have a softer belly, wider hips, and bigger waistline. So make sure that your goals are aligned with the reality. You cannot change the body shape drastically, however you try the permanent changes will remain intact. While breastfeeding, you need at least more than 1800 calories; otherwise, the milk will dry up and your baby will starve; so, make sure that you do not cut down the meals or restrict the intake. Get the proper amount of food to stay healthy. 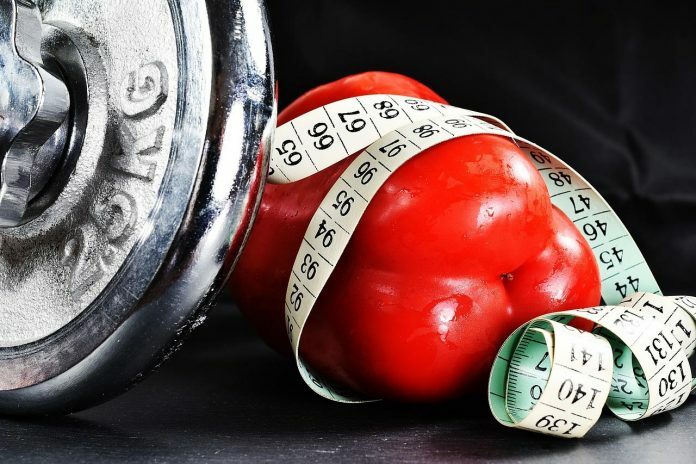 You should ideally lose a pound and half each week, and that needs you to cut down 500 calories; in addition, a quick weight loss can add toxins to your bloodstream eventually contaminating your organism. I understand, you want to have the size zero and a curvaceous figure; yeah, after all being flirtatious make sense, but hang on, at least do not take the risk of skipping meals in an attempt to lose weight quickly. It is not the right way of losing weight; in fact, it makes things worse. Remember that the breakfast is the most important meal of the day, it not only keeps you healthy but also improves the chances of the weight loss, so make sure that you have your favorite sandwich in the morning before you do anything. Research suggests that eating low-fat dairy products and whole wheat bread or grain expedite the weight loss process, the high fiber content food such as fruits and vegetables should be the ideal food that you must choose if you want to get back to the shape. You can also make fruit smoothies; eat some grilled vegetable and vegetable soups. The boiled and baked food should be chosen over the sweets because the sugar adds extra calories. Never eliminate the fat from the diet, it is still important because it is essential for the body, you should look to cut down the excess fat and protein. In fact, you should each nutrition elements moderately. After giving birth, the work out regime makes perfect sense because it can help you to get rid of the post-pregnancy depression; however, you should consult the doctor before you take up any workout regime to verify your eligibility because workout after pregnancy can have an adverse effect too. Walking is the best exercise that you should regularly do; make sure that you start with strolling for few weeks, the slow increase the speed; you can also try walking in a zigzag pattern, this is will make your body guessing which can be beneficial. You can pack you baby in front to add some extra weight but remember that while walking in a zigzag motion, you have to keep your baby away from it until you master the move. The stanching are also the best ways of getting back to shape, but remember that you have started with the basic stretching before you do some power stretching. However, it is important that you speak with your trainer. Never go for exercises without the help of trained professional. The exercises like walking and stretching do not need any expert supervision; anything more rigor needs assistance. Apparently, by choosing the right diet regime and workout plan, you will lose weight slowly and nicely. It is advisable that you should keep things slow and simple. First, you have to take care of your baby and look the milk supply needs; therefore, remain calm and maintain a healthy weight. Finally, being a mama has its own charm and beauty; in fact, you feel satisfied and joyous, but as every other thing in the world, the most beautiful things come with its share of troubles and odds. So, learn to cope with it and live a healthy and beautiful life. You will get back to shape eventually. Katy Hill has worked with great doctors who have experience in dealing with the problems of pregnant ladies. To overcome such issues, she came up with the idea of creating pregnancy body pillows. This Katy Hill`s product, gives comfort to mothers so that they can be comfortable all day and feel all the love and affection in their pregnancy.